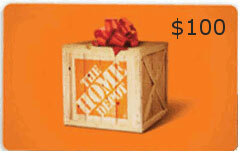 Win a $100 Gift Card from The Home Depot® ! Plus - Receive 20% Off your Next On-line Order! For Life Products, LLC is not affilated with The Home Depot®. The Home Depot® is not a sponsor of this promotion. * 2. Do you own or rent?